ASAP Locksmiths is one of the most trusted businesses when it comes to home security, CCTV, lock services and rekeying in Melbourne. Since we opened in 1984, we’ve continued to provide excellent service and quality craftmanship to people all over Victoria. With years of experience behind us, why would you trust your security to anyone else? At ASAP Locksmiths we are one of few after hour locksmiths in Melbourne to hold a Company Private Security Registration, licensed by the Licencing Services Division of the Victoria Police. This is the same body that polices gun control. This licence requires that you have several references from official positions, and have been working in the industry for many years. In addition to the above, all of our Locksmiths (even the apprentices) hold and Individual Private Security Licence in Security Advisor and Security Equipment Installer. These licenses are LAW in Victoria, and you should always ask to see a contractor's licence. Why would you risk it? ASAP can dispatch a mobile locksmith for rekeying in Melbourne, access control and other locksmith services after hours to: Melbourne CBD, South Melbourne, Prahran, St Kilda, Windsor, Toorak, Port Melbourne, Oakleigh, Hawthorn, Caulfield, Brighton, Armadale, Elsternwick, Middle Park, Albert Park, Malvern, Richmond, Elwood, Bentleigh, Chadstone, Balaclava, Camberwell, Burwood, Ashburton, Ashwood, Glen Iris, Kew, Balwyn, Surrey Hills, Carnegie, Hughsdale, Sandringham, Hampton, Ormond, Beaumaris, Highett, Cheltenham, Southbank, Ripponlea, Parkville, Docklands and South Wharf. At ASAP Locksmiths, we have offered the public quick, safe and reliable After hour locksmith services and products in Melbourne since 1984. We respond immediately if you have found yourself locked out of your home, business or car, even after normal business hours. We are master locksmiths and we hold a Company Private Security Registration that is licensed by the Victoria Police. Security is important to our customers because we realise that when a locksmith installs a new lock on your home or car you essentially trust them with the keys to your most treasured possessions. At ASAP Locksmiths, we take our customers safety and security seriously. We also take pride in our fast response capabilities that help us to respond quickly when you are having one of those days where everything goes wrong and you lock yourself out of your home or car. ASAP Locksmiths are here to help, no matter what situation you find yourself in, so when you have a locksmith emergency contact the experienced team at ASP. Think of us first when you are looking for dependable emergency locksmiths near you who can be at your door with a solution to your lock or key problem. No matter if you live in Windsor, Toorak, Hampton, and Docklands or anyplace in the greater Melbourne area, we can respond and solve your lock or key problem promptly and safely with just a simple phone call. At ASAP, locksmithing is not a part of our business, it is our only business. This means that we treat our customers with the highest level of professionalism and service they will find anywhere in the surrounding area. For home, car or commercial lock and security systems, please give us a call and let us demonstrate our professionalism and care to you. 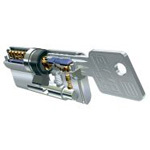 Besides our services as car locksmiths, ASAP locksmiths offer our customers a wide variety of locks and security equipment for home business and autos. One of our more popular lines of products is our CMI safes. 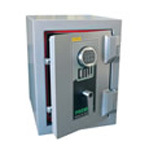 We carry a wide range of safes for both home and business applications. We also install the safes we sell and can advise you as to the right type and size of safe for your particular application. As you may well know, many of the newer automobiles on the road today use a key system with a transponder or microchip integrated into the key. You may have also learned through a bad experience that vehicle locksmith prices at an auto dealership can be very expensive. At ASAP Locksmiths, we can duplicate your transponder keys for most makes of autos and do it at a price that is a fraction of what an OEM replacement key would cost. In addition to our lock and key products, we also market and install video surveillance products with the highest quality level you will find anywhere in the industry. We can install an entire system to protect interior as well as exterior properties. If your needs are for a replacement remote control for your garage door or other electronically controlled devices we can help you in this area as well. No matter what your problem or security requirements are, we can help you find an affordable solution for everything from a sophisticated security system to being locked out of your home. At ASAP Locksmiths, we provide quality locksmith services, at cheap prices without compromising your security. One of our more popular services is our restricted key program and rekeying in Melbourne. If you have a business that employs individuals, then you probably already know what a problem it can be when there is employee turnover and those individuals might have made copies of your keys. This type of situation can quickly become unmanageable and expensive if you are changing the locks every time you have a change in personnel. The solution to this situation is a restricted key system. ASAP can offer you a restricted barrel for most locks in use today. This means that you will have your keys registered to your name and no one can create a duplicate without your written approval. This approach can offer considerable saving to you and your business. Of course the most common service associated with locksmith services come from people who are locked out of their car or home and require the services of local emergency locksmiths. At ASAP Locksmiths, we recognise the fact that people don’t always lose their keys or lock themselves out of their house during normal working hours. For that reason, ASAP Locksmiths is proud to present themselves to the public as after hour locksmiths who will respond to your call for help at any time of the day or night. 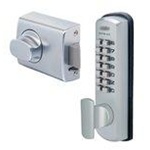 We make it a point to designate one of our professional locksmiths to be on call at all times. When you call us after normal business hours, your phone call will be automatically forwarded to a trained and responsive professional locksmith. We are very proud to announce that Bentley Davison has been awarded Australia's Best Young Locksmith 2014! Well done Bentley! Click here to read more.